Arsene Wenger is a French football manager and former player. 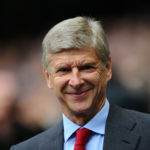 He has been the manager of Arsenal since October 1996, where he has since become the club’s longest-serving manager and most successful in terms of major titles won. Football pundits give Wenger credit for his contribution to the revolutionising of football in England in the late 1990’s through the introduction of changes in the training and diet of players. "At a young age winning is not the most important thing… the important thing is to develop creative and skilled players with good confidence." "Football is an art, like dancing is an art – but only when it’s well done does it become an art." "As a coach you can influence the diet of your players. You can point out what is wrong." "Their diet is basically boiled vegetables, fish and rice. No fat, no sugar. You notice when you live there that there are no fat people." "Young players need freedom of expression to develop as creative players… they should be encouraged to try skills without fear of failure." "In some ways England is more liberal than France, but I also find it more intrusive. But when you go abroad you have to accept the ways of where you live. I have to respect that."